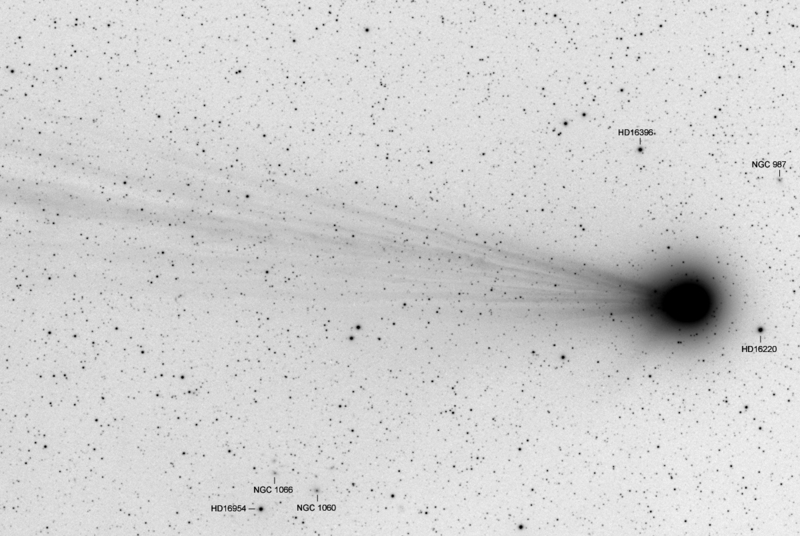 comet C/2014 Q2 (Lovejoy) imaged remotely from New Mexico on 2015 January 26. A few faint fuzzies are just discernible - see inverted version. The brightest star (HD16220), to the right of the coma, has a visual magnitude of 6.23.